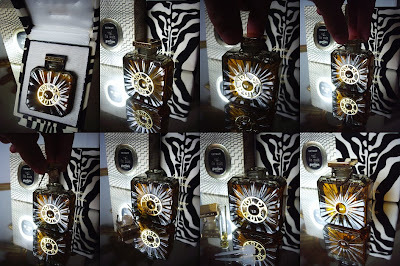 So glad to hear you like it D.
VdN extrait is something special. I highly recommend you wear it one evening when the climate is cool, rainy and windy - IMO, the perfect 'space' for this scent unleash it's bittersweet narrative. VdN extrait does do something to me too. I adore it and I enjoyed your article very much ,having had a similar experience though with the present day extrait. The vintage must be close to a spiritual experience. Thanks for the VdN piece ! Ahhh...Dimitri don't you wish everyone could experiene that just once? And Vol de Nuit July 4 2008 as we boarded the night flight to Florence for Sniffa. Perfect , huh? You know I read but never comment, but this time I had to. I LOVED what you have written, once again your passion makes me so proud to know you and I felt every word. I too have recently fallen in love with vintage Vol de Nuit. After trying the current extrait these past years, I decided to take the plunge on a vintage bottle of Vol de Nuit. I always appreciated the current extrait, but found the big dose of civet in the topnotes slightly synthetic and unpleasant (although I'm pretty sure Jicky lovers don't mind :) When I first sniffed my vintage bottle, I was surprised that I couldn't find any civet, or at least the amount used in today's version. What I was left with the current version, is an extremely melancholy accord of dusty spices and creamy vanilla. I share your enthusiam and passion and congradulate you on an amazing buy. 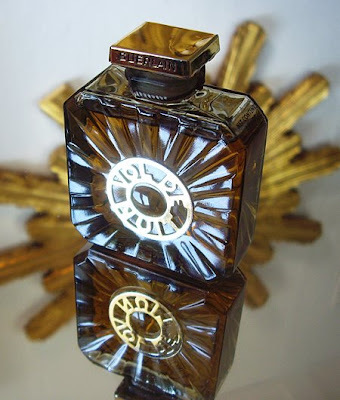 Although I've only tried this in vintage EdT, it's stunningly beautiful. Someday I'll own a propeller bottle, that's for sure!